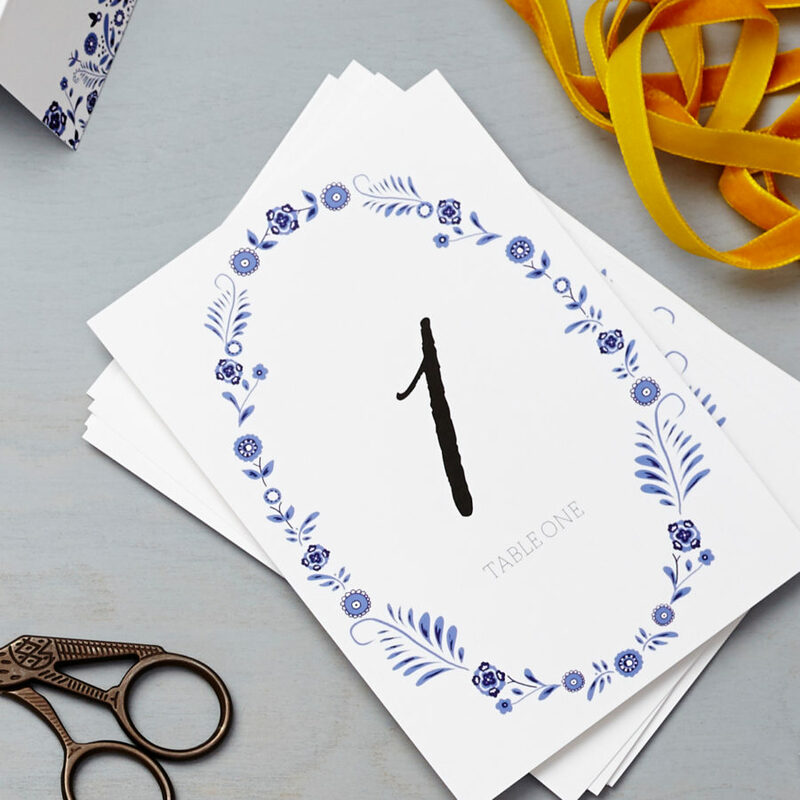 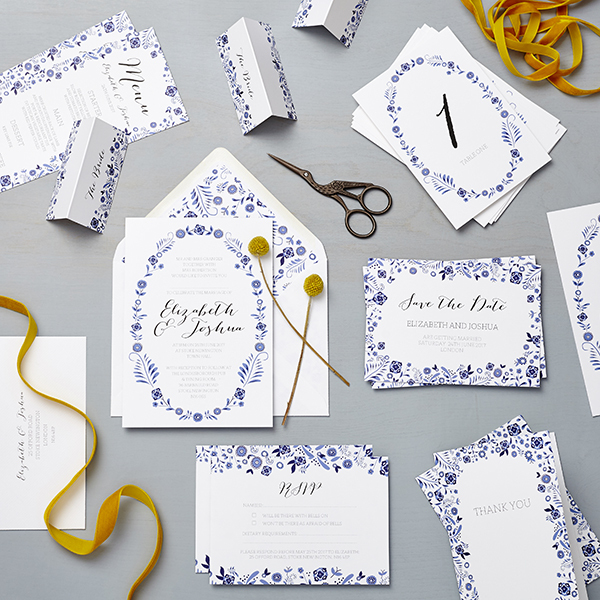 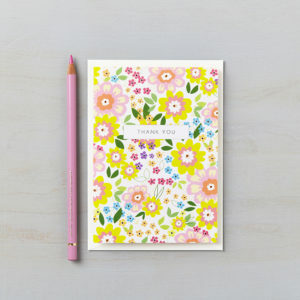 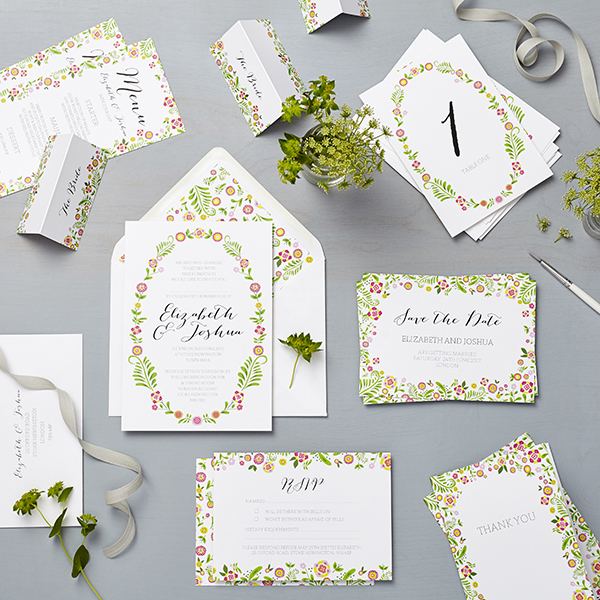 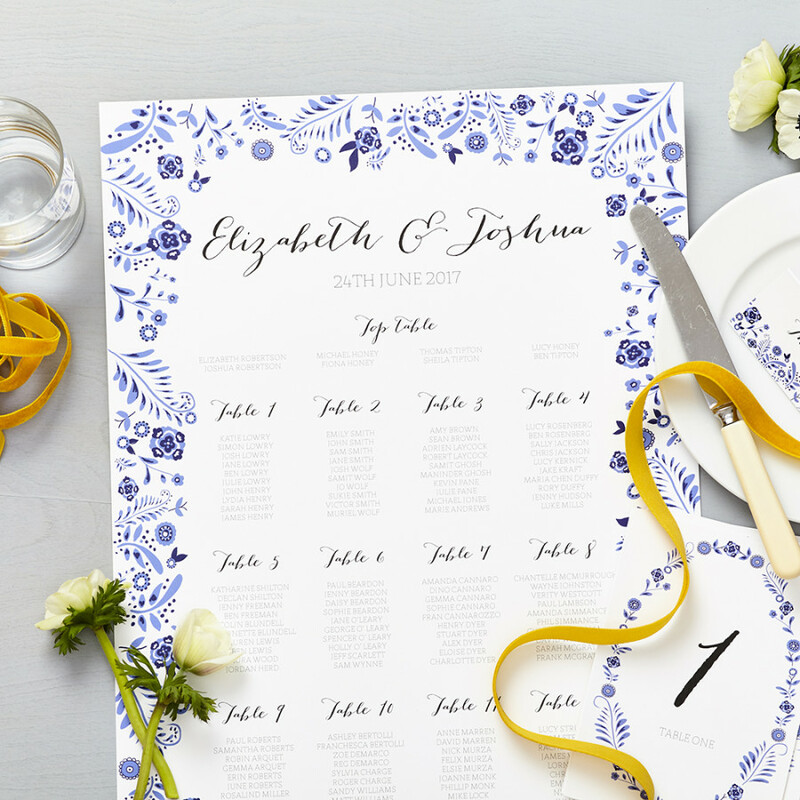 Delicate and beautiful, the Danish Porcelain wedding stationery design is reminiscent of the iconic Copenhagen pottery designs with Danish flora motifs. Framed with a garden of wonderful stylised flowers in 2 colour palettes: Cobalt blue and white or Multi coloured (pink, green and yellow). 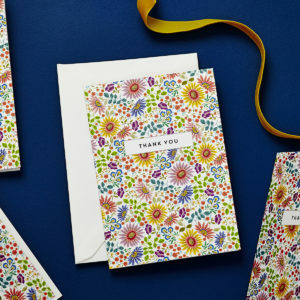 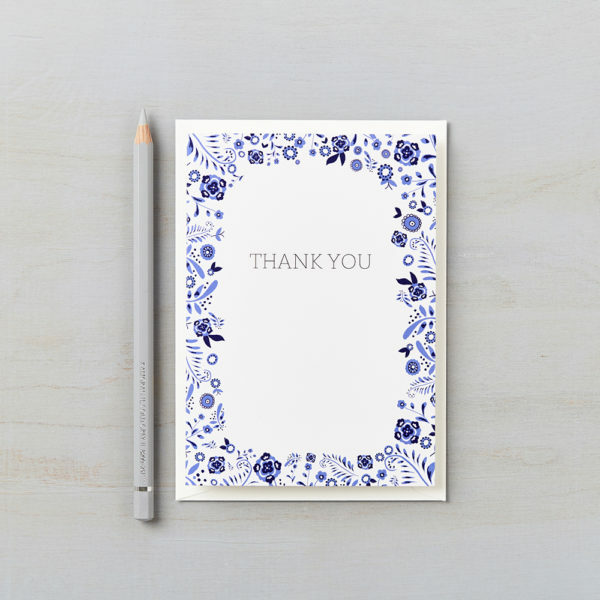 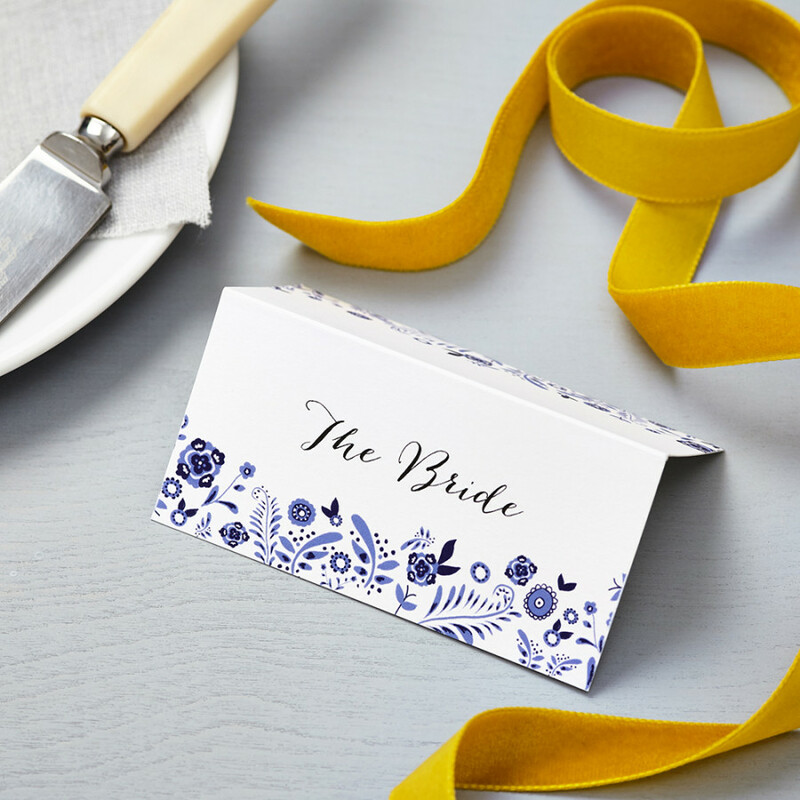 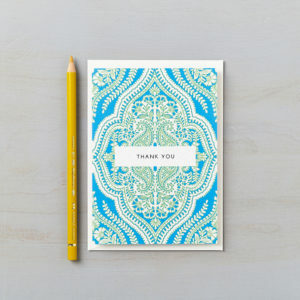 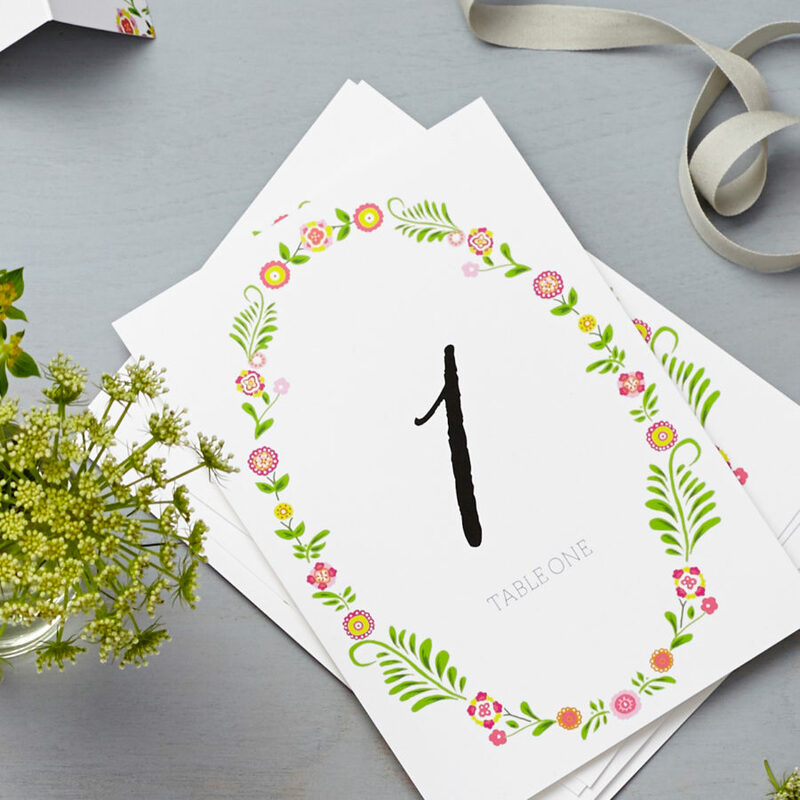 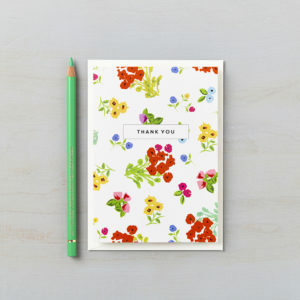 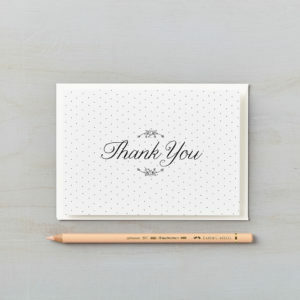 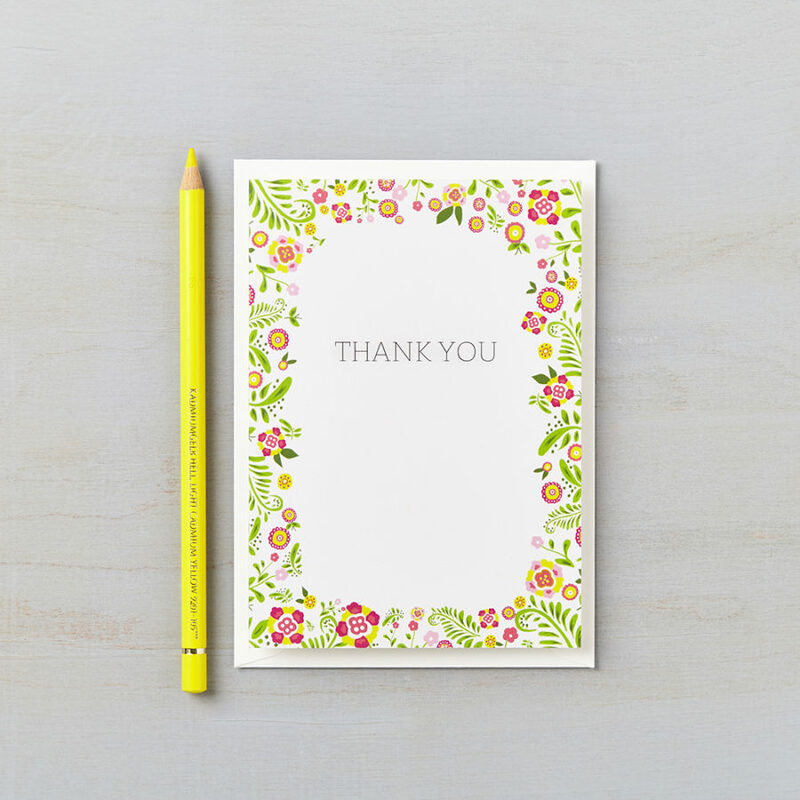 The hand drawn imagery of the Danish Porcelain thank you card is complimented with romantic script lettering and balanced with a modern serif font, printed onto beautiful soft white card, for the perfect thank you from your wedding.